Russia kicked off their Confederations Cup Group A campaign in style as they cruised to a 2-0 victory over New Zealand in St Petersburg. An own-goal from Michael Boxall and Fedor Smolov's second-half strike sealed all three points for new coach Stanislav Cherchesov's side as the tournament hosts impressed at the Krestovsky Stadium. Playing in the tournament for the first time, Russia were on the front foot and had two early chances cleared off the line in the opening 10 minutes. Aleksandr Samedov's corner found Viktor Vasin who saw his header hacked clear by Michael McGlinchey. Ipswich's Tommy Smith was then on hand to keep Russia at bay as the defender cleared Dmitry Poloz's effort. Smolov's goal was rightly ruled offside before Russia took the lead on 31 minutes. After New Zealand lost possession in their own half, Poloz's neat touch set up Denis Glushakov who dinked his effort over goalkeeper Stefan Marinovic and off the post before Boxall bundled the ball into his own net. 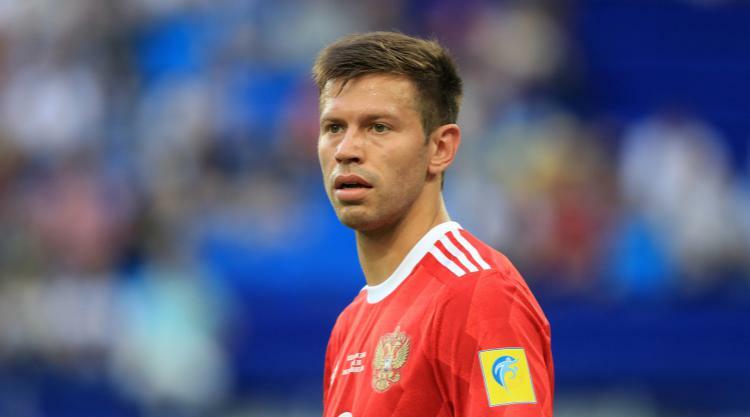 The All Whites had a penalty claim turned down for a handball by Vasin but Russia sealed all three points as Smolov started and finished a swift passing move in the 69th minute to extended their unbeaten streak to four matches under Cherchesov.